You know, I knew it but was always loathe to admit I have way too much time on my hands. With this post the secret's out. 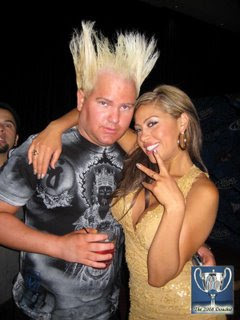 How else can I explain spending time on the site Hot Chicks With DoucheBags Our friend above has the dubious distiction of winning the Douchiest Hair of 2008 Award. Way to go "Wheatstalks".